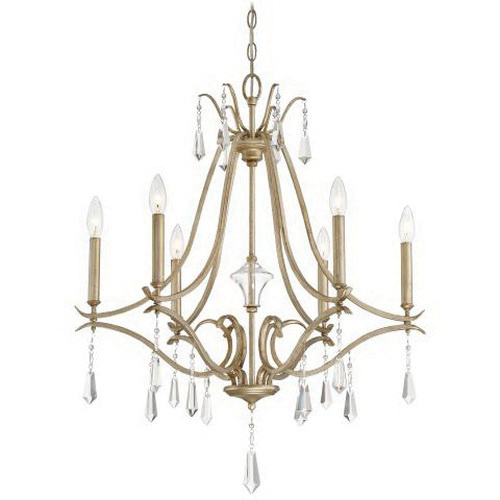 Minka-Aire Laurel Estate Collection 6-Light chandelier in brio gold finish, features 3.38-Inch x 3.38-Inch shade that brings elegance to the home. This chandelier uses six 60-Watt E12 candelabra B10.5 lamps. It measures 26.75-Inch x 26.75-Inch x 31.75-Inch. This chandelier comes with 72-Inch chain and 120-Inch lead wire for easy installation.